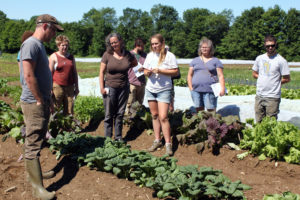 Lectures, hands-on learning experiences, and meaningful work combine to build skills and knowledge required to bring a systems-thinking approach to practical farming methods. 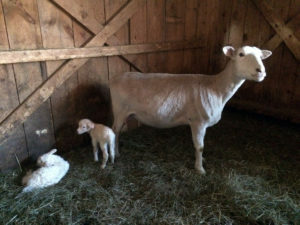 The Sterling College Farm faculty along with leading practitioners in the field create a learning experience with both breadth and depth to challenge new farmers and growers to develop livestock, vegetable, and fruit and berry production systems that are ecologically resilient and profitable. The Integrated Farming Practicum (IFP) is one of the cornerstones of Sterling College’s Sustainable Agriculture education. It is a 12-credit, 12-week intensive experience that runs from May 13 to August 9th with a one-week break in early July. 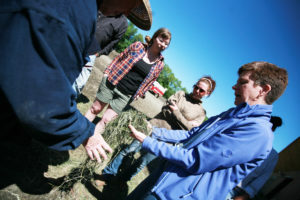 Students will participate in 4 separate courses (Whole Farm Thinking, Pasture Systems Management, Holistic Livestock Husbandry, and Introduction to Crop Production) taught in an integrated, cohort-based model that maximizes time outside on the Sterling College farm and in field trips to other farms in the region. 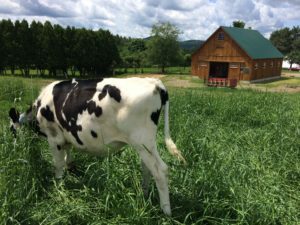 Students will also spend around seven hours of each week being paid to work directly on the Sterling College Farm as part of the work program. At the conclusion of the summer, students who successfully complete the IFP will have gained the foundational knowledge to work on a Sustainable Farm. Want to take your farming skills to the next level? Learn more about out our BA Programs for Sustainable Agriculture or Sustainable Food Systems!